Health Care for the Older Horse: Not so Geriatric Anymore! Geriatrics: a branch of veterinary medicine that deals with the problems and diseases of the aged veterinary patient. The productive life of a horse has increased to a point that we need to start taking into account the changes that take place as they age. 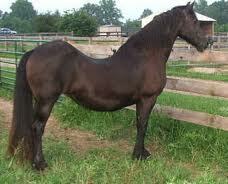 At one time the productive or serviceable life of a horse was considered to be 8-12 years of age. This does not hold true anymore. With the advancements of veterinary medicine we can easily extend this into late teens and even into the 20's. Horses are easily living to see 30 years of age and beyond. At a conference this fall for equine veterinarians the room was polled to see who was treating the oldest horse and multiple veterinarians had horses in their 40's. The oldest horse was 52 years of age. Some of the earliest signs of aging are unsoundness and difficulty moving. One of the most common owner observed problems of the aging horse is arthritis. As veterinarians we are trained to look for the more subtle signs that lead us to diagnose the problem before it becomes more clinically apparent.